If a layman, baptized and confirmed in the established Church of England, were to apply to you to be admitted into full communion with the Greek Church, would you be obliged to receive him, even if it might seem to you that it would be better for him to remain in the English Church? To reply to this question, one first has to understand it. 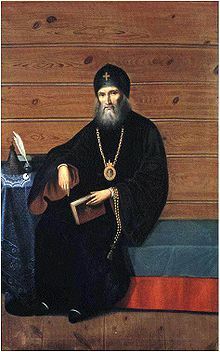 But the question posed here is not readily comprehensible and therefore it is necessary to pose the following the question in return: Under what circumstances could a priest of the Orthodox Church, believing in its Apostolic dignity and purity, suppose it would be better for a member of the English Church to remain in it rather than unite himself to the Orthodox Church? Until this second question is resolved, an Orthodox priest of the Catholic Eastern Church can assume that the question originally posed does not exist; and that consequently it does not require an answer. If a layman were to be received, would it be necessary to give him baptism and confirmation, conditionally or unconditionally?